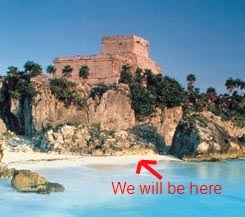 Tulum, a Mayan ruin located south of Playa Del Carmen. So I’m signing off until 2007 but before I do, I just wanted to wish you a very happy New Year. Yay, 2007! ← ‘Tis the Season for Tasty Gifts!